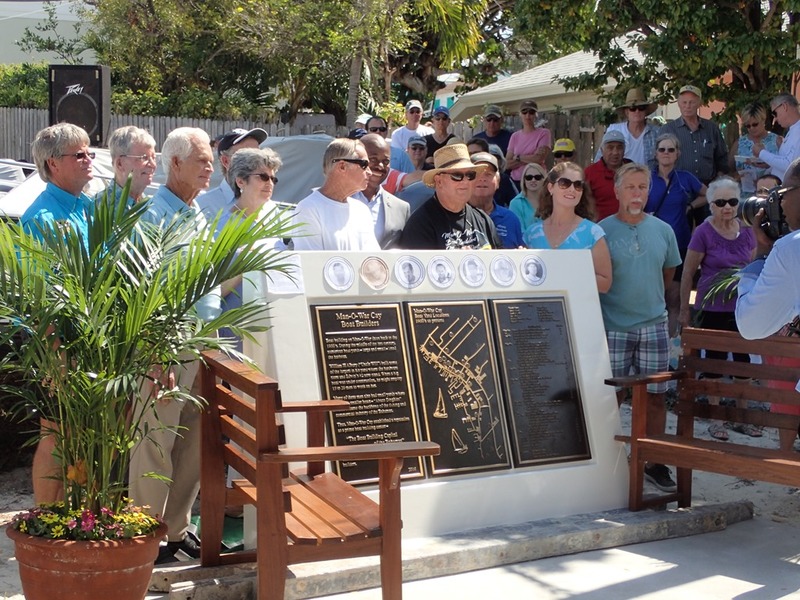 Man O’ War Cay, the island just north and west of Elbow Cay, commemorated its boat building heritage and heroes Saturday with the dedication of this memorial. 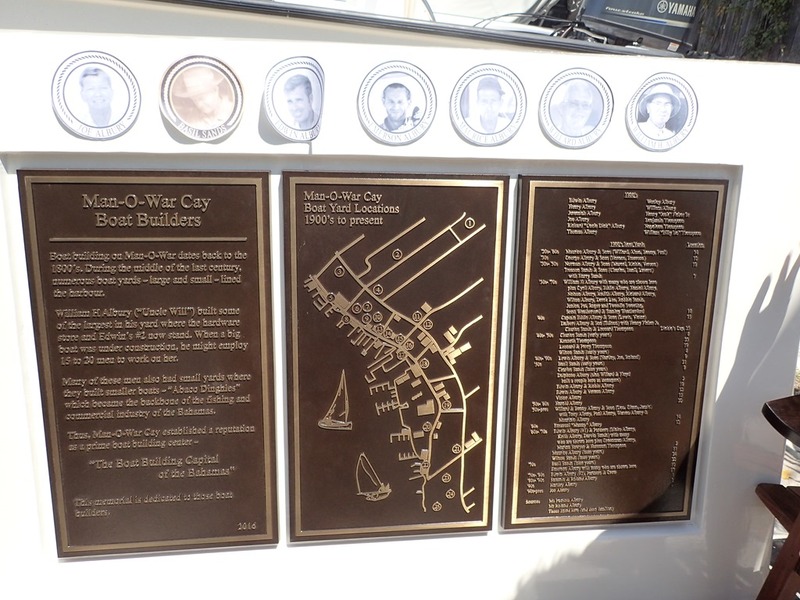 Some of the boat building heroes were present, many named Albury. Politicians spoke and locals told stories of long ago. 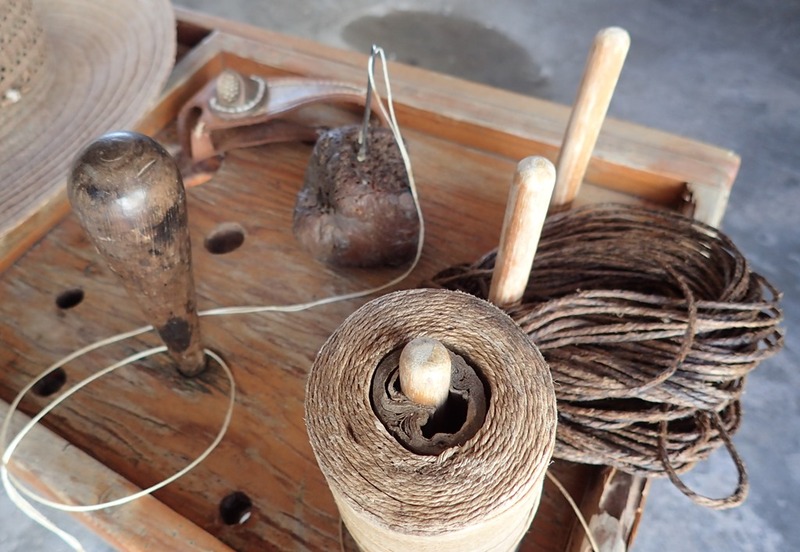 Boats are still built on Man O’ War and the skills are being passed on. 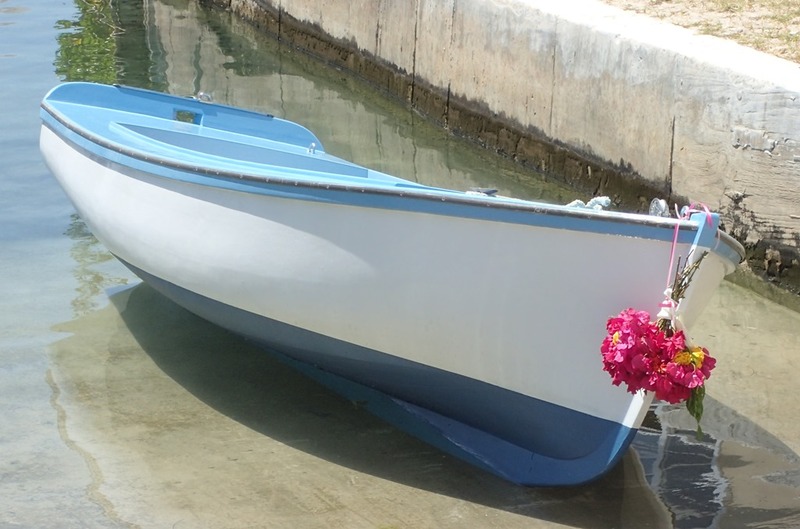 Here is a newly built Abaco dinghy which was launched as part of the dedication. 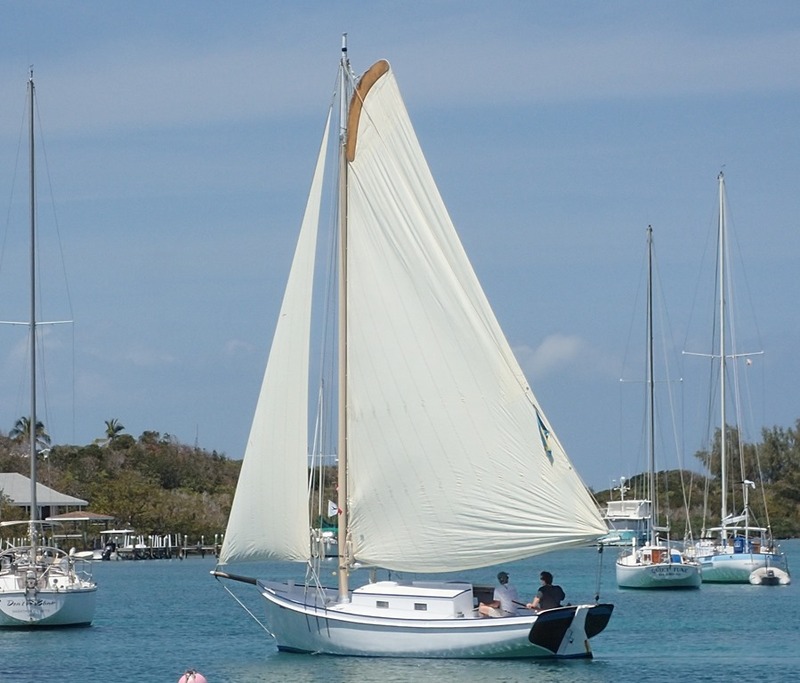 Rough Waters, an early MOW-built racing sloop, sailed in the harbor. 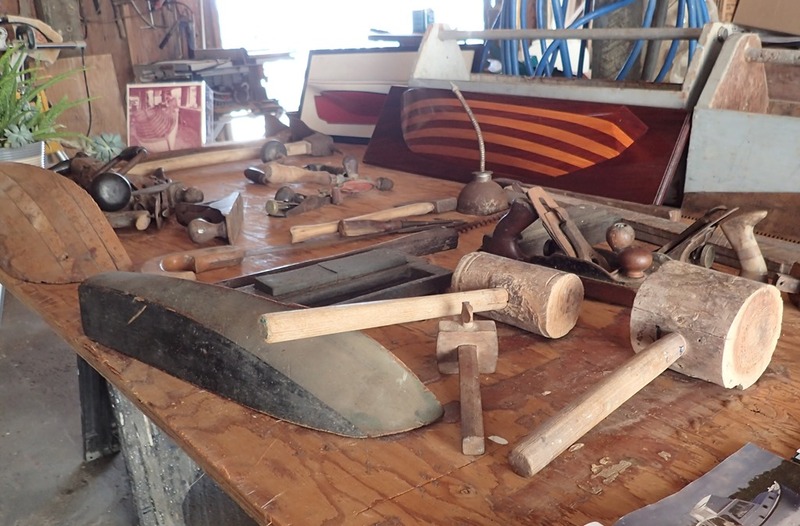 Boat building tools from the early days were exhibited – many still in use today. 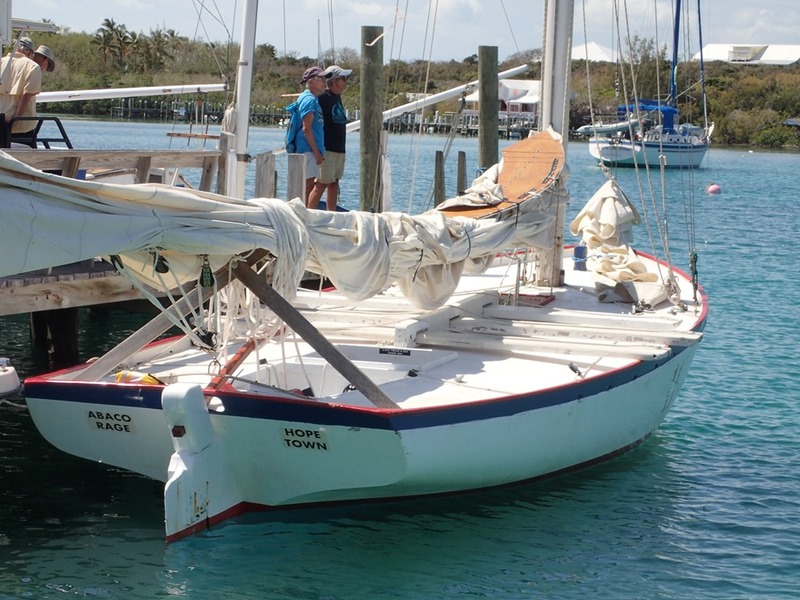 And Man O’ War built boats were on display, including the Abaco Rage. We were invited to help sail Rage up to MOW and back! What fun. 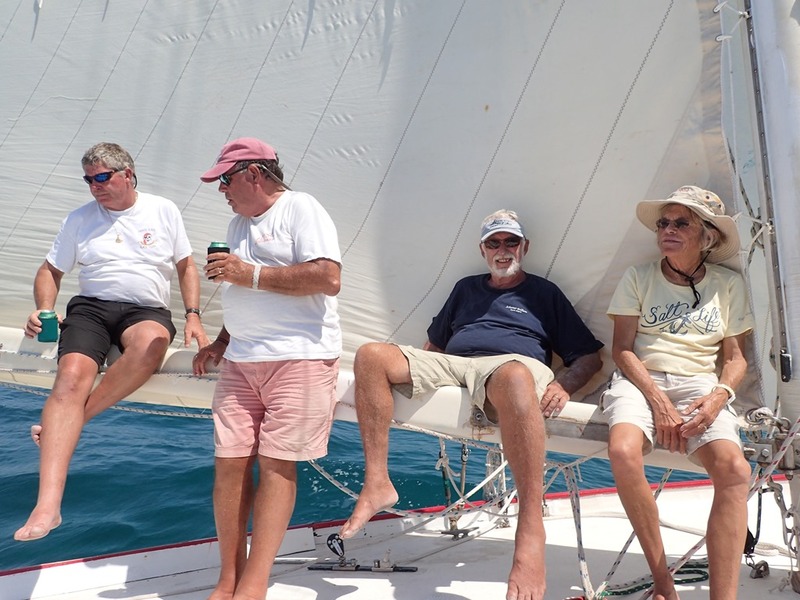 We joined a great group and sailed out of the harbor on a broad reach up to MOW – no tacking or jibing, just a leisurely ride. We sailed right into the MOW harbor and up to the dock with just a push or two from a couple of runabouts. 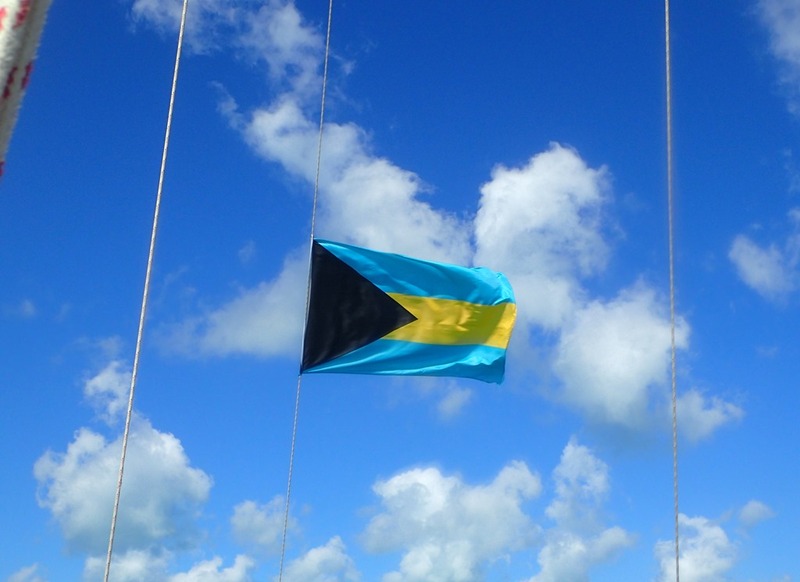 After the festivities and a delicious lunch at the Dock n’ Dine, the wind had clocked around and we had a relaxing broad reach back to Hope Town. With not much wind and a brutally hot sun, we put our feet in the water to cool down as we floated along. It works. 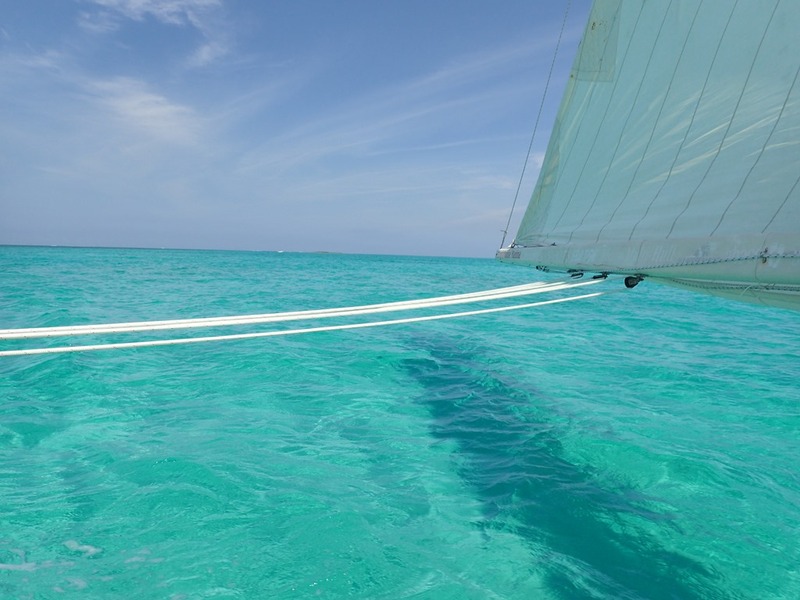 Is the Sea of Abaco gorgeous or what? still in charlottesville visiting son joe and building grandson a treehouse. get home to twin lakes in cheboygan on april 12–ice should be out by then and i can get my pontoon and houseboat (african queen) back in the lake.